Here you will find our collection of malibu tube caps. 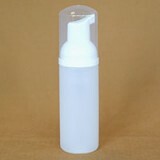 All of our malibu caps are 1.5" in diameter and are threaded to fit bottles/tubes that are 22/400. The prices vary by the color/style of cap. Once you select the color/style of cap you want, the correct prices will be displayed on the page. You are purchasing the caps only.